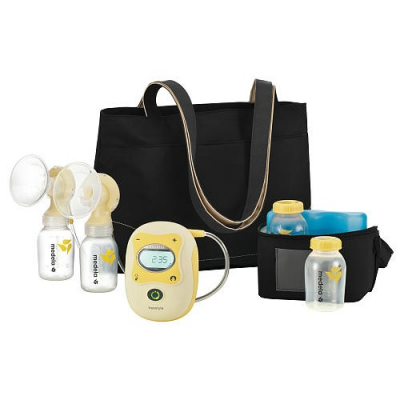 Pump In Style Advanced is a double electric, daily use breastpump. It is designed to work for moms that pump multiple times per day. This breastpump is conveniently portable, yet discreet enough to allow for pumping anywhere. It is available in three bag styles: On-the-go Tote, Backpack and The Metro Bag. Featuring the original 2-Phase Expression® technology, which is found only in Medela breastpumps.